Are you interested in a short break this Autumn? Why not fly to Hamburg in Germany. Both Ryanair and Aer Lingus fly direct in 2 hours with fares starting at €40. Hamburg is in the North of Germany and connected to the North Sea by the Elbe River. 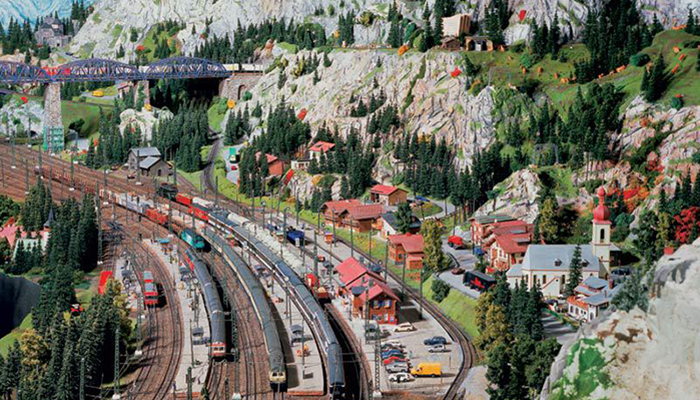 Hamburg has lots of things to see and do. Here are our five tips for you! 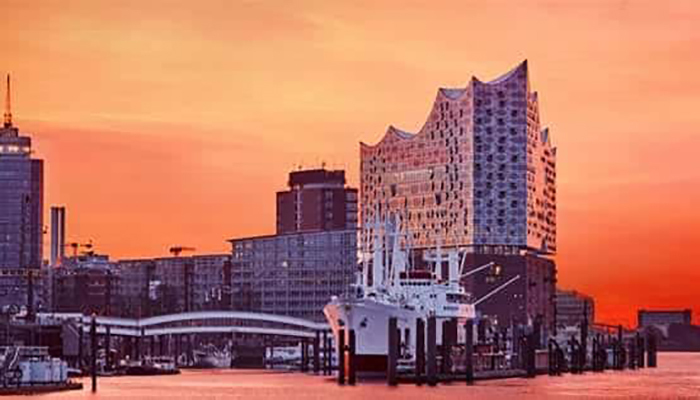 The Elbphilharmonie is a concert hall in the HafenCity quarter of Hamburg. 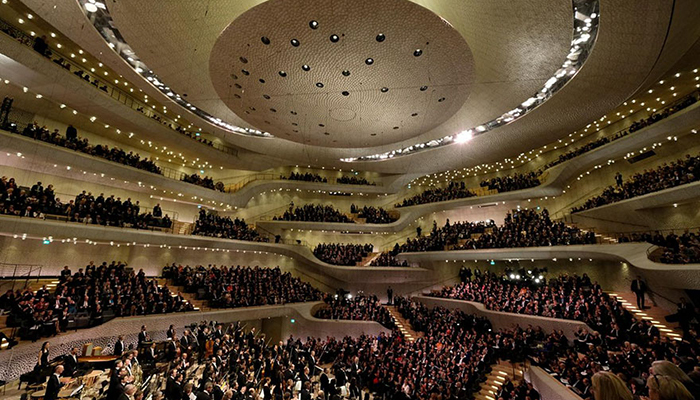 It is one of the largest and most acoustically advanced concert halls in the world. The opening concert took place on 11 January 2017. You can take a Guided Tour through the building for €15,00 (60min), or you can go to a concert. 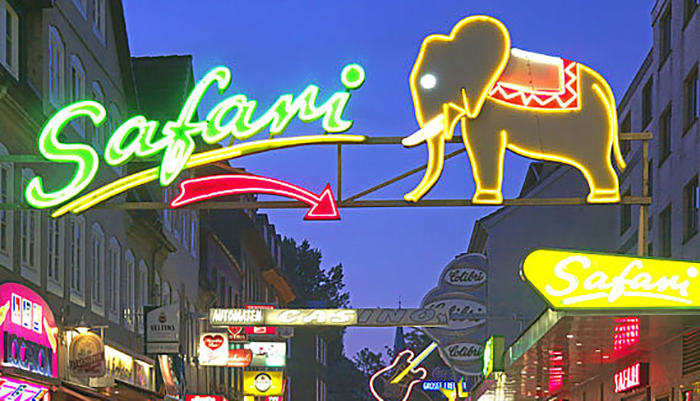 When you want a great party night, you must go to the Reeperbahn. It’s a street and entertainment district in Hamburg`s St. Pauli which is packed with nightclubs, bars and restaurants as well as art galleries, cabarets and theaters. 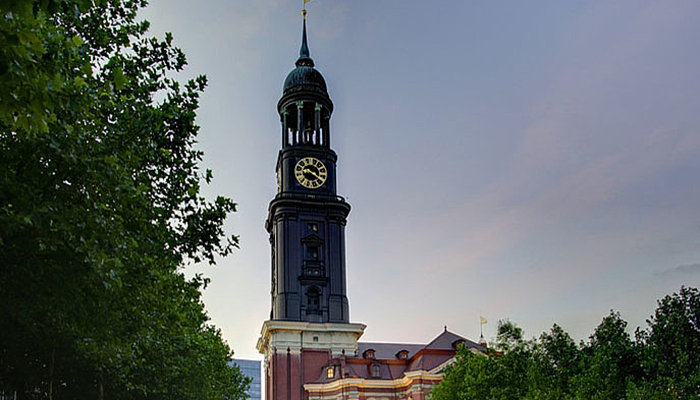 Hamburg has many large churches, but only one “Michel”. On its platform 106 meters high, there is a fabulous (and breezy) view of Hamburg, the port and the surrounding countryside. 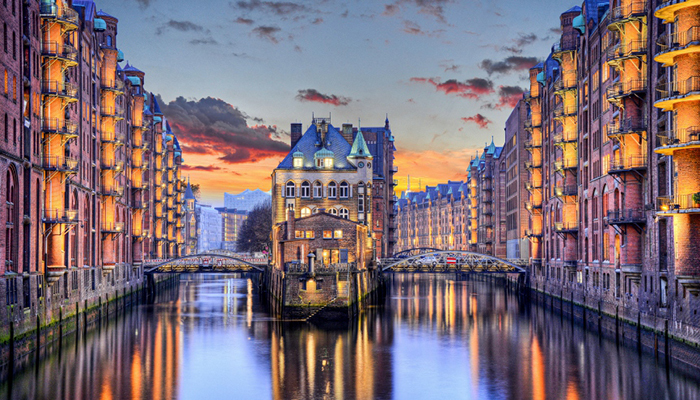 The century-old Speicherstadt, the world`s largest contiguous warehouse complex. At nightfall, the Speicherstadt is enveloped in an aura of mystery. At that time of day, the red brick buildings and steel bridges are artfully illuminated by 800 spotlights. If you do end up making plans to travel to Hamburg, make sure you have travel insurance for your trip.